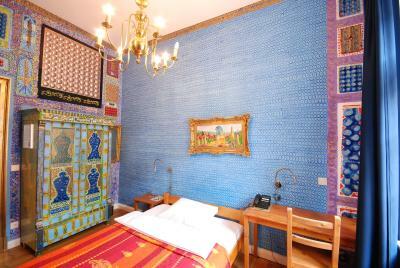 Lock in a great price for Arte Luise Kunsthotel – rated 8.3 by recent guests! Right outside a bus stop and super clean and nice. English speaking staff made for fewer troubles. Loved the artistry of everything! 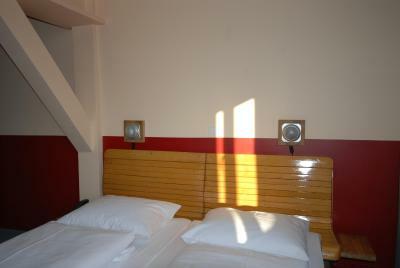 The hotel is really nice and the room was confortable regarding the bed, temperature and space. The design was pretty cool as well. 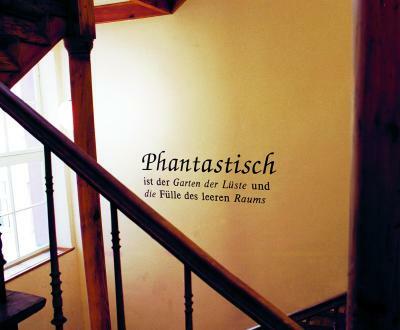 There was a lot of noise from the street though and the hallways smelled like cigarette smoke. I believe is a non smoking hotel, so staff should pay more attention to this issue. Fairly friendly staff. Excellent location! The staff are nice, polite and speak very good English. Location is very good. Close to the train station and subway station. 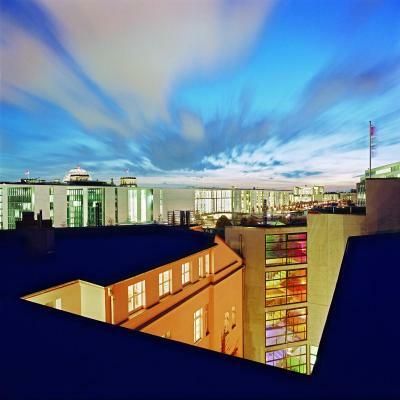 Museums within walking distances. The location!!! The bus to and from the airport is right across the street. The Brandenburg Gate and the Reichstag are a 5 minute walk. So is the FriedrichStrasse S-Bahn train station. 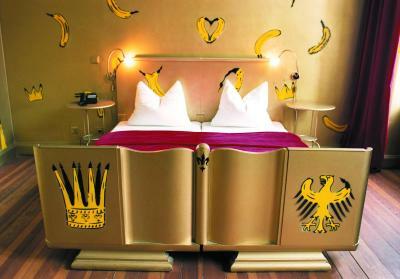 A very comfy bed and an exquisite fan made sleeping much easier in Berlin's hot summer nights! 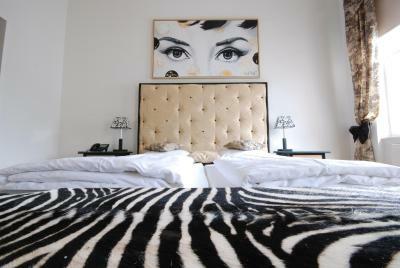 Stylish & spotless rooms Amazing location! 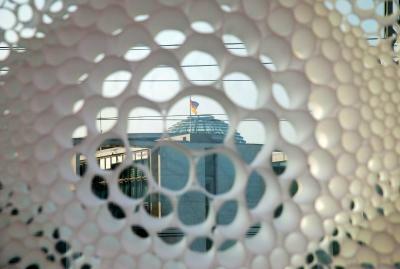 You can get to the German parliament by foot! The train and metro station are also just at a walking distance from the property. Many cute coffee shops and restaurants nearby. 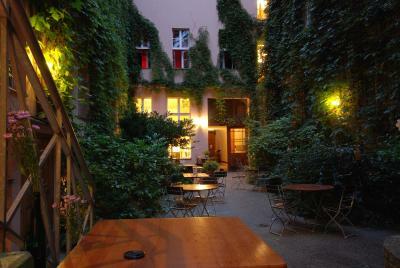 Pro tip: don't miss stepping by the Kartoffelkeller, they serve heavenly Berlin special potato-based dishes, and they're only a 5 minute walk from the hotel. Good location, very clean , the staff was very kind with us. 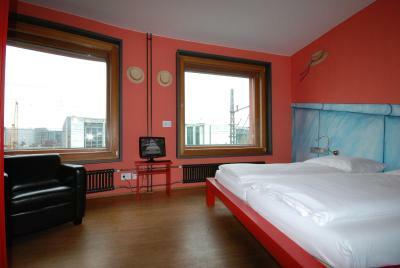 Good location, 10 min walk from the main railway station. Old building, but clean & comfy. The staff was helpful and kind. Everything is clean. The bed was huge. Close to everything. Room had a family room and separate bedroom, as well the toilet and shower had their own separate rooms. we had a nice view of the courtyard. It was 2 blocks from the train station. 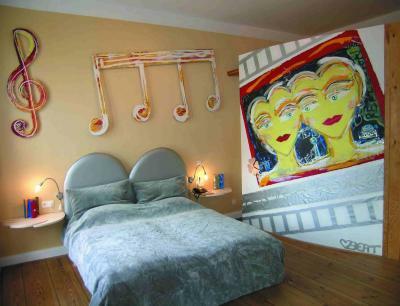 Arte Luise Kunsthotel This rating is a reflection of how the property compares to the industry standard when it comes to price, facilities and services available. It's based on a self-evaluation by the property. Use this rating to help choose your stay! 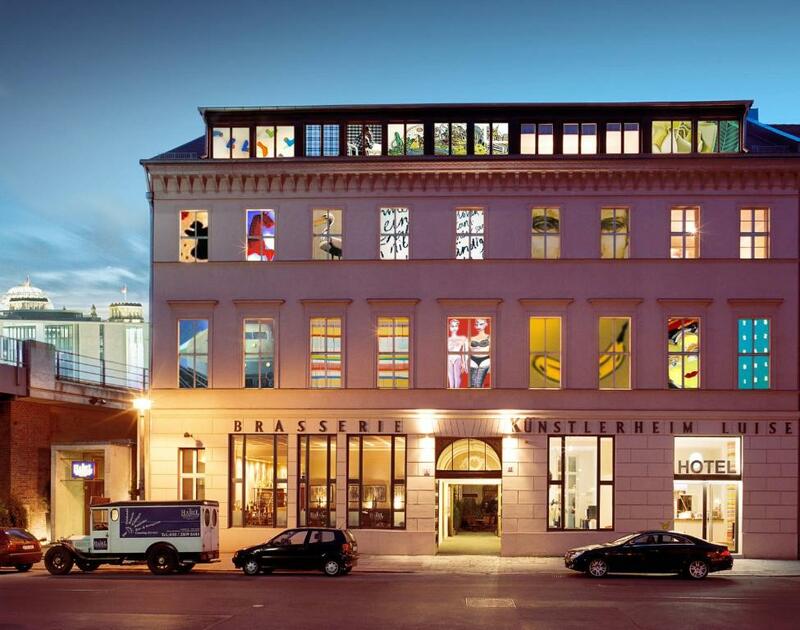 Featuring stylish rooms designed by renowned artists, this unique hotel is in the heart of Berlin, just a 10-minute walk from the Brandenburg Gate, the Reichstag Building and Friedrichstrasse Train Station. 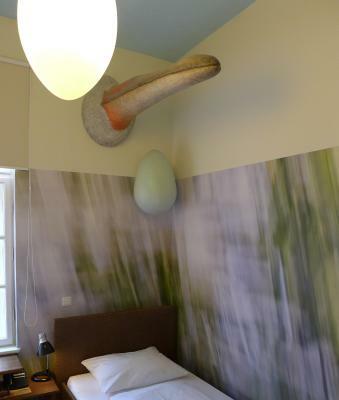 Each individually furnished room at Arte Luise Kunsthotel includes modern, artistic décor and features its own original concept. 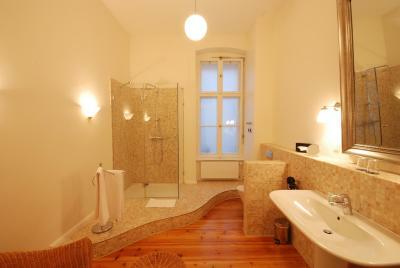 Rooms have either a private or shared bathroom. Free Wi-Fi is available in the lobby. 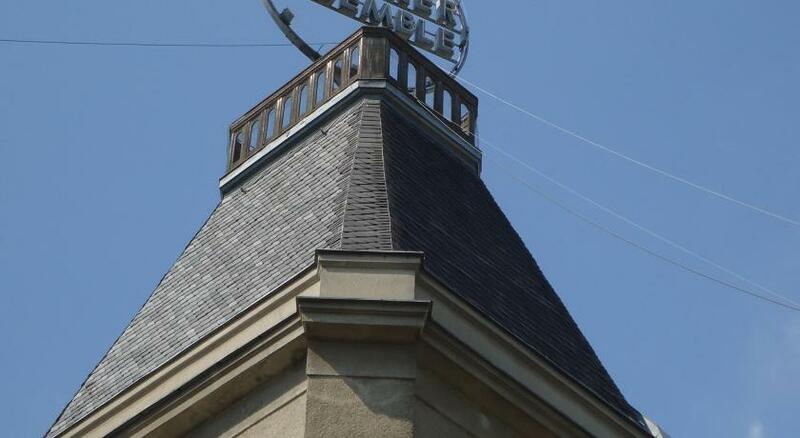 German and Mediterranean cuisine is served in the hotel restaurant. Guests can relax on the spacious courtyard terrace. Light snacks and drinks are available at the snack bar. 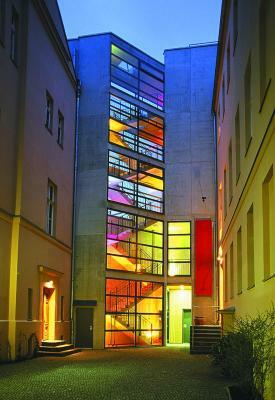 The Spree river and the famous Unter den Linden Boulevard are within a 10-minute walk of Arte Luise. S-Bahn (light rail) and underground services at Friedrichstrasse enable guests to explore the whole capital with ease. 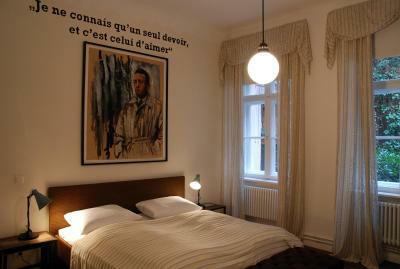 When would you like to stay at Arte Luise Kunsthotel? 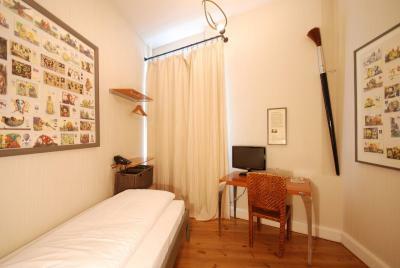 Spacious rooms with a TV, air conditioning, work desk and private bathroom. Please note that the shower and the toilet are located in the hallway. 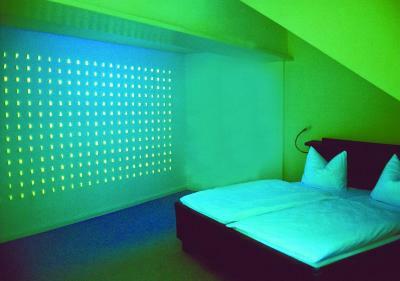 The hotel is constantly changing with rooms being redesigned over and over. The artists involved in the profits. A beautiful courtyard invites you to stick around. By the way, due to the trains passing by it isn't all that quiet. 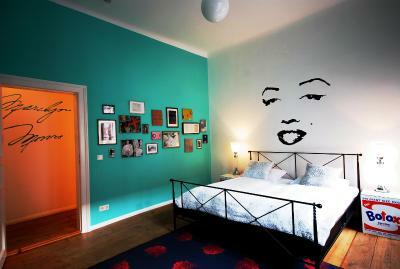 House Rules Arte Luise Kunsthotel takes special requests – add in the next step! 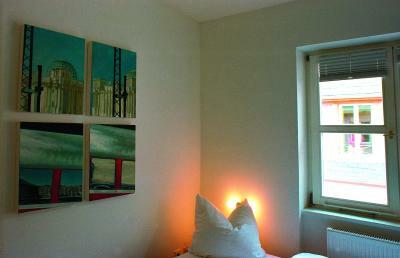 Arte Luise Kunsthotel accepts these cards and reserves the right to temporarily hold an amount prior to arrival. I wish they had let us know that we were staying in the airplane room. The suspended bed made us both nervous. It ended up ok, but our stay would have been more enjoyable if we could have had a different room. My room was right next to the S-Bahn line. It was extremely loud at night. Central location, but quiet also. Brandenburg gate within walking distance. 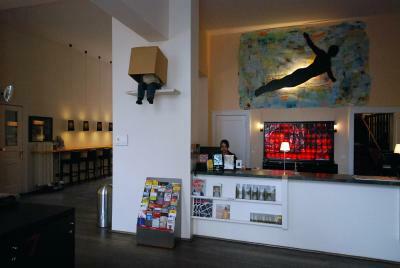 Superb artistic hotel with gorgeous decoration!friendly people and very close to friedrichstrasse station (central).everything was really perfect more than I expected! The toilets and showers weren't sufficiently maintained in my opinion (smell, stains, etc...). The elevator was very slow. The duvet was a bit on the small side and the window wasn't sufficiently isolated from the wind. The hotel design was great. My room was nice despite being cheap. The location is great, near the centre but quiet and with many different ways of public transport nearby. If you take a look around, you'll also find that there are a variety of smaller restaurants nearby. Some aspects could have been better, check in strange, given no help to find a particularly difficult room, with a large case, and being really tired, this was not helpful. One very soft pillow per person, not ideal. 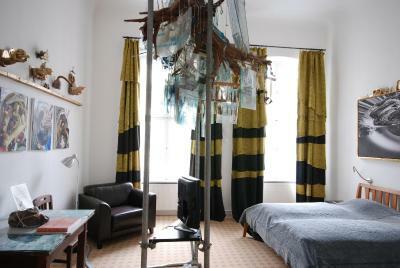 Our room was not particularly arty, so a bit disappointing. Great location, nice hotel, shared bathrooms all fine as they were all clean and modern. Most staff very friendly and helpful, really nice. Good choice of reasonable breakfast options nearby, very close to transport hubs. Lovely courtyard which would be amazing in the summer. Walls maybe a bit thin - or we just had very loud neighbours one night. 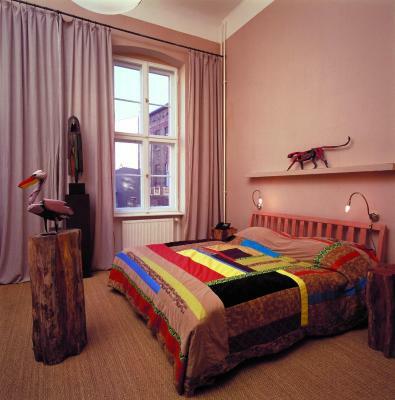 Awesome room! Awesome hotel! Better than expected. Friendly staff, good location. Free wifi. Clean bathrooms.